I am training legs today just so I can have a high carb day and devour protein pancakes after my session 😀 This is the same recipe that is in my e-book and in my spinach protein pancakes post. I have just changed the ingredients slightly 🙂 Let’s get cracking! 6. 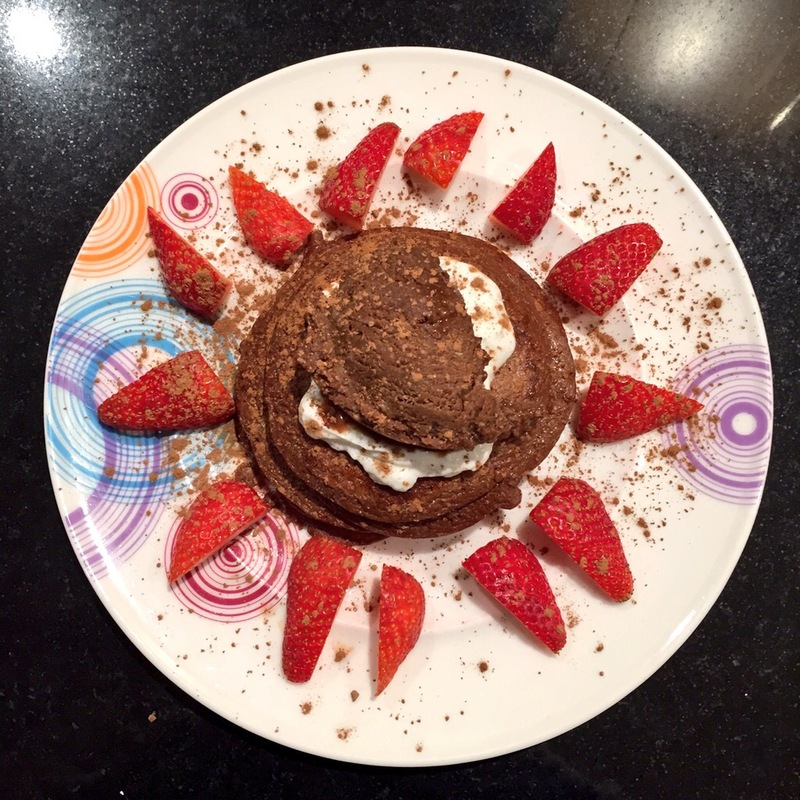 When they’re ready, plate up your pancakes and top with your favourite pancake toppings – today I had 1 tbsp Total Greek Yoghurt, 1 tbsp Mississippi Mud Pie Hognuts Nut Butter & strawberries. 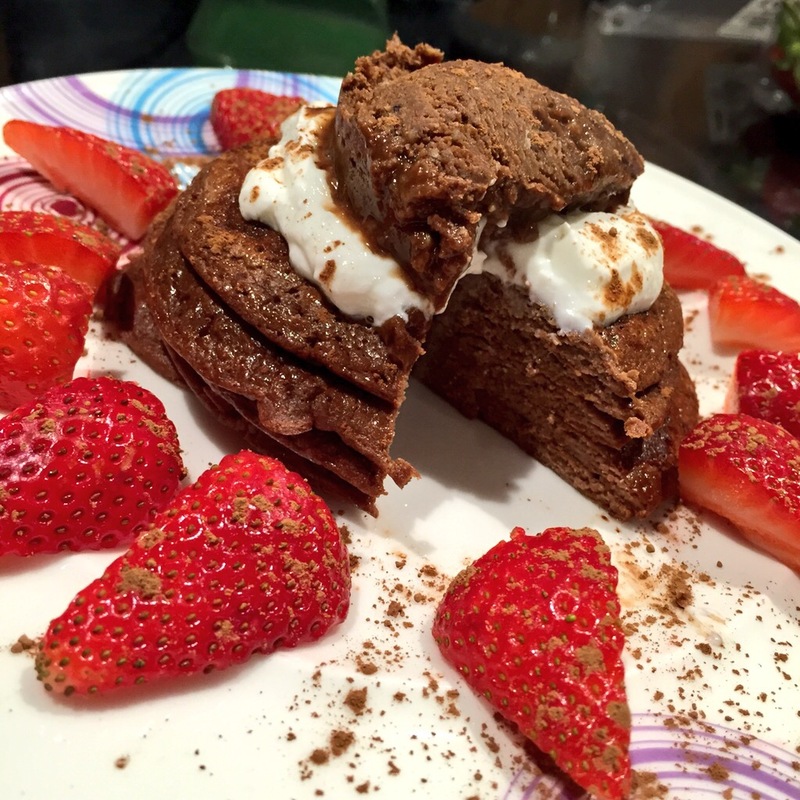 These pancakes are sooooo delicious!! I am in high carb heaven & feeling super satisfied 😀 They are rich without being sickly and have the most beautiful chocolate flavour. This has got to be my favourite pancake combination! So simple to make with ingredients that are widely available, you’d be silly not to try it! 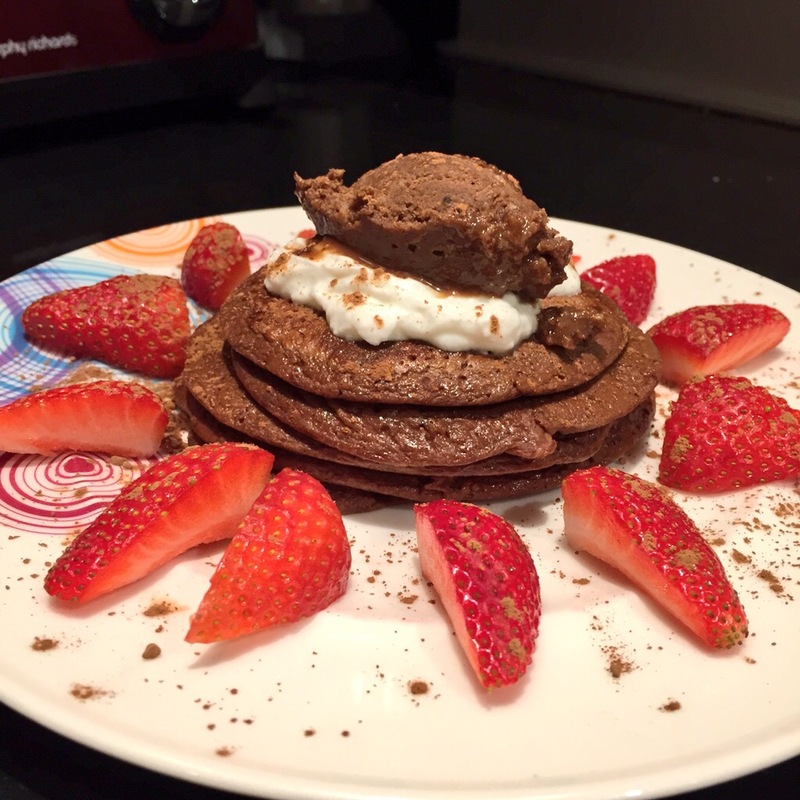 This entry was posted in Diet, Fitness, Food, Health, Recipes and tagged carb cycling, chocolate, delicious, Efectiv Nutrition, healthy, healthy eating, high carb day, high protein, Hognuts Nut Butters, homemade, Mississippi Mud Pie, pancake day, pancakes, protein, protein baking, shrove tuesday, strawberries, Total Greek Yoghurt. Bookmark the permalink.